ChemSee’s at-home detectors utilize well-known laboratory techniques for the detection of poisons in foods. 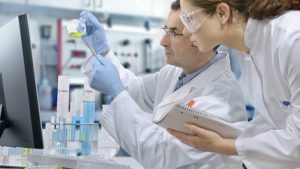 These state-of-the-art chemistries are packaged together in small, easy-to-use formats which easily can be used by any person can easily use to test their food immediately before eating. ChemSee’s detectors were developed in cooperation with the Department of Defense to ensure accuracy and proper / meaningful results. Peroxide, Borax, Nitrates and Nitrites. 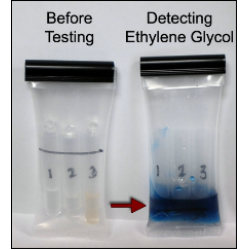 Detectors that allow the user to rapidly check if a suspicious sample of food or drink contains ethylene glycol / antifreeze. 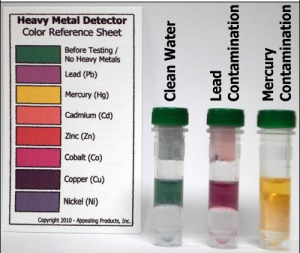 Easy-to-use detectors to instantly detect trace levels of Heavy Metals in foods or liquids. Sulfites are used to preserve foods and help them keep their color. 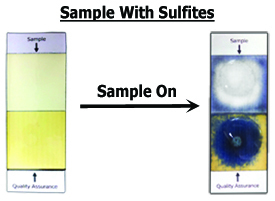 Sulfites are also toxic and can cause life-threatening conditions to people whom have Asthma or an allergic condition. 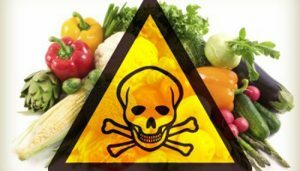 ChemSee’s Detectors for Foods are a class of rapid, presumptive tests that can indicate on the spot if there is a reasonable probability that the food is contaminated. Presumptive tests of products for specific contaminants. ChemSee is pleased to provide innovative products to ensure both the safety and quality of foods for the consumer. From the innovative Milk-Ox Detectors for peroxide, to SulfiteCheck detectors for sulfites in foods and drink, ChemSee is committed to providing the tools necessary to ensure that your food is safe.